I love to meet book authors! I love to chat and to meet the author of any book really excites me. It's inspiring to hear why they started and always interesting to know the background and what motivated them to keep going. 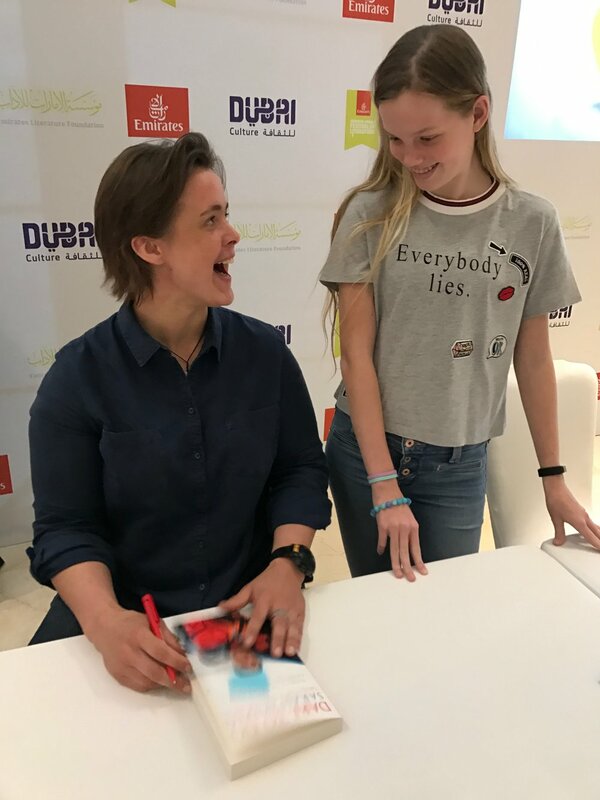 Jacqueline is a such a lovely lady, I was living in Bahrain and just had to visit Dubai and the Emirates Literary Festival and was so very lucky to meet her in person. Is an author, poet, playwright and a magical story-teller. I was trilled that he took time out to talk about his inspiration, for the War Horse stage adaptation. Nigora is such a funny and loving lady, I first met Nigora when we were thinking of having my book published. Nigora is an inspiration for all that is good. Nicolas is a very influential and inspiring author, who wrote the amazing book "Alphanumeric". He was also my mentor through the beginning stages of my own book. My Hero! She is such an extraordinary adventurer, Sarah sailed single-handedly around the world, from London to London. Such an inspiration and a truly brilliant book, a must read. Linda is a school teacher and life-coach who really cares about children. Linda has recently launched a coaching book for teenagers along with a 30-day journal. Interviewing Curtis Jobling live on Talking Books at Dubai Eye 103.8 was such great fun, it was nerve wracking at first, what a nice guy, the interview was almost an hour long.